Anyone who paid any attention to the claims of Iraqi weapons of mass destruction, the Gulf oil spill or theFukushima nuclear accident knows that the government often twists science to promote certain policy objectives, such as drumming up support for the invasion of Iraq or becoming a booster for nuclear power and big oil (and thus downplaying the damage from nuclear accidents and oil spills). President’s National Medal of Science winner Lynn Margulis notes that the scientific method is to follow the facts where they lead, to adopt the theory which has the most proof, and to discard theories which are contradicted by the facts. Margulis says that – in the case of 9/11 – the government has adopted theories which are backed byvery little evidence, and refused to look at the most likely theory – the one backed by overwhelming evidence. A materials scientist has come up with a more scientific explanation for the mystery booms, and says his model of the Twin Towers collapse leaves no room for conspiracies. “My model explains all the observed features on 11th September: the explosions, molten metal coming out of the window, the time passing between the crash and the collapse, the fact that the explosions took place in a floor below the place it was burning, and the rapid collapse,” Christen Simensen of SINTEF, a research organization in Norway, told Life’s Little Mysteries. 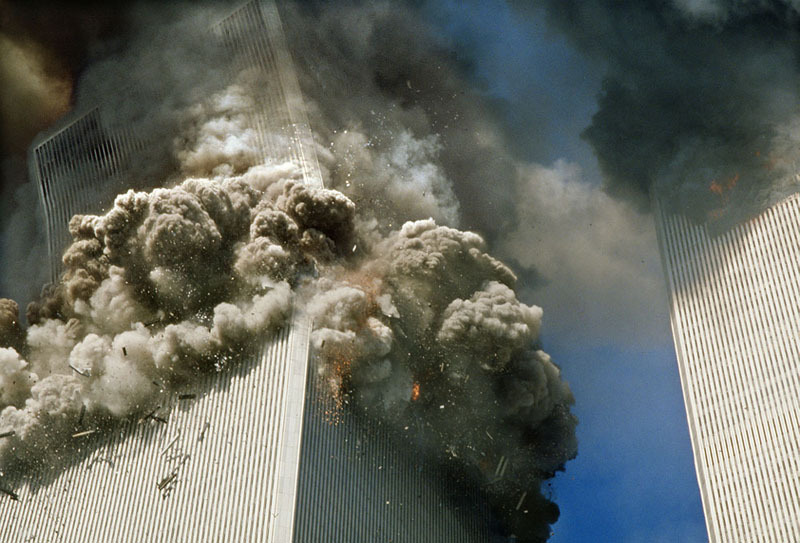 As detailed in the new issue of Aluminum International Today, Simensen argues that molten aluminum from the airplane bodies chemically reacted with water in the buildings’ sprinkler systems, setting off the explosions that felled the Twin Towers. “Then molten aluminum becomes [as liquid as] water and has so much heat that it will flow through cracks in the floor and down to the next floor,” Simensen explained in an email. There was an automatic sprinkler system installed in each ceiling, and it was filled with water. “When huge amount of molten aluminum gets in contact with water, a fierce exothermic reaction will take place, enormous amount of hydrogen is formed and the temperature is locally raised to 1,200 to 1,500 C,” or 2,200 to 2,700 F.
Chaos rapidly ensues: “A series of explosions will take place and a whole floor will be blown to pieces,” he wrote. “Then the top part of the building will fall on the bottom part, and the tower will collapse within seconds.” This is what Simensen believes happened in the two World Trade Center towers.